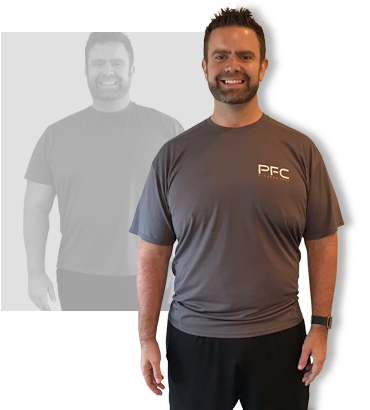 PFC Fitness Camp holds the gold standard in fitness and weight loss with a proven program designed and tested by the top health experts in the industry. We've helped over 3,000 clients transform their lives while at camp, but more importantly, helped these individuals maintain and continue to lose weight long after they have left. Though the only success story that matters is yours, our previous guests can give you a pretty good idea of the life-changing results that you can expect to experience at PFC Fitness Camp. PFC has changed my life. I lost over 110 pounds, but more than that I have gained so much knowledge and strength; both physically and mentally. I met some of my best friends here. It’s been an amazing experience. For me being at PFC isn't just about losing weight, it's about learning about nutrition, learning about fitness and how your body functions, and at my age that's really important. I can do things today that I never dreamt possible, and that's a testament to the program the trainers and everything I've learned here. My stay at PFC far exceeded any expectations I could have possibly imagined. My lack of self confidence, self-doubt and anxiety we at an all time high. I am now off of my anti-depressants and have a whole new outlook on life physically, mentally and spiritually. I have a new found feeling of wholeness I have not had for a while. Coming to PFC is the best investment I made in myself. The program works. more importantly than being just a diet or getting a little bit fit, it's a holistic program that adds endurance, cardio, weight loss, and learning about nutrition. PFC affords you the opportunity and ability to make a behavioral change and develop a new lifestyle, and it doesn't get much better than that. Today, the journey to wellness continues. Since starting at PFC in January of 2011, I have seen my weight drop from 340 lbs to 220 lbs, coupled with marked improvements in my physical and mental health. Simply put, I don’t just feel like the old “Mike” again, but a new and improved version. I have my health and look forward to continuing my pursuit of wellness, a pursuit made easier knowing that I always have my PFC family to turn to when times get tough. Thanks again, PFC, for truly giving me my life back! 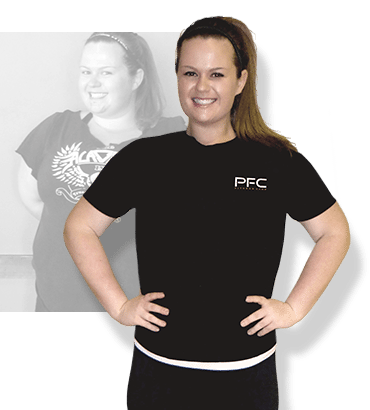 PFC Fitness has made a huge impact on my life! I’m so glad I made the decision to attend! I had been overweight my entire adult life and I knew deep down I couldn’t bear going through another yo-yo dieting cycle, falling victim yet again to the latest crazy diet fad—If I was really going to honestly face my weight issues, I wanted to face it 100% head on, and find a solution I could maintain for the rest of my life. Premier changed my life! I appreciate the PFC team’s genuine care for me and professional approach that helped me achieve my goals. I am healthier, more fit and more educated as a result of my PFC experience.” I would HIGHLY recommend PREMIER FITNESS CAMPS to those who are ready to take back control of their lives and become more in tune with themselves, the relationships that I was able to form will be with me for the rest of my life, and many new FRIENDS shoulders to lean on when I need to. I owe a GREAT THANK-YOU TO EVERYONE AT PREMIER!!!!!!!! Since coming to PFC Ive experienced great results. So far on my journey, I’ve lost 80lbs. I feel better, healthier, and am very satisfied. I feel lighter and able to move my body in ways that I could not when I got here. I am able to do full sit ups now! The entire staff is great, as are the clients. The people are just good people. I recommend PFC to everyone. Thank you to the entire staff for everything! I was offered a gift of time at Premier, and I was terrified to accept it! I had been overweight my entire adult life and I knew deep down I couldn’t bear going through another yo-yo dieting cycle, falling victim yet again to the latest crazy diet fad—If I was really going to honestly face my weight issues, I wanted to face it 100% head on, and find a solution I could maintain for the rest of my life. Premier changed my life. Premier Fitness gave me the knowledge and confidence that I needed in order to achieve the goals that I had for myself. I felt so hopeless before I got there, and thanks to the compassion and caring nature of all of PFC’s staff, I left as almost a completely different person. The weeks I spent there will always be some of the most important weeks of my life. I went in hardly being able to run the length of a football field, and I am now training for a half marathon! I wouldn’t trade my experience there for the world! Before PFC I was not in a good place. I was suffering complications from Type 1 Diabetes and I was very depressed. I immediately discovered little things starting to happen, like tying my shoes easier, breathing better, my posture had improved, I was standing taller. The confidence that came with all of those little wins had me realize it wasn’t so much about losing weight but what I was gaining. Strength, energy, a sense of fun. The trainers with their guidance and support have worked miracles on me. I feel like I have my life back. I can smile again. With the help of God and the love I received from Premier Fitness Camp, my life has made a drastic change. I look at life with a different perspective now, everyday of my life I want to pay it forward and help others the way PFC has helped me. After researching a lot of weight loss camps, PFC Fitness Camp seemed like the right fit. The staff was great, the trainers were awesome. They were so knowledgable, they modified workouts to my ability. I never felt like there was anything I couldn’t do. While at PFC I learned that weight loss is a lifestyle, not a quick fix. It also isn't about the number on the scale, but about how you feel. Personally, the accomplishments I have gained while at PFC far surpass any struggle I've endured prior to try to achieve them. The most rewarding part of my weight loss journey was seeing how much I'm actually capable of doing. I'll be back! Weight & Keep It Off? 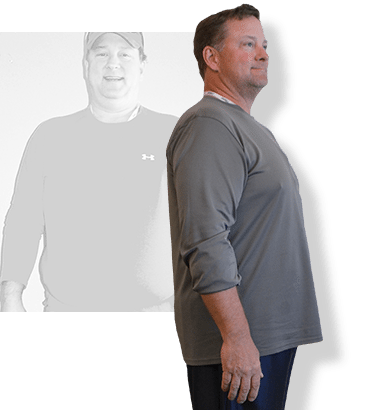 With 50 years combined experience of world class training, our weight loss programs provide an unprecedented experience that has resulted in over 3,000 weight loss success stories around the world.